The new stage production of Tennessee Williams' classic play, 'Cat on a Hot Tin Roof', which enjoyed a sold-out run in Broadway last year , is coming to London this winter. Williams' play had shot to fame thanks to its eponymous screen adaptation in 1958, starring Elizabeth Taylor and Paul Newman in the roles of Maggie and Brick. Now, this new adaptation directed by Debbie Allen (director of TV series 'Fame' and 'The Cosby Show') calls onto an all-star all-Black cast, featuring James Earl Jones (Darth Vader's voice in the 'Star Wars' trilogy) and Phylicia Rashad aka 'Clair Huxtable' in 'The Cosby Show' (and Allen's sis in real life), respectively as Big Daddy and his wife Big Mama, whom they already portrayed in the Broadway run, as well as Sanaa Lathan (Michelle Landau in 'Nip/Tuck') and our very own Adrian Lester ('Hustle', 'The Ghost Squad') in the roles of Maggie and Brick Pollitt. Tickets went on sale on Monday and range from £20.00 to £54.45 (incl. booking fee). 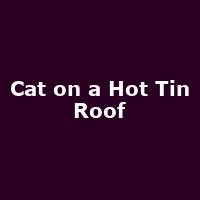 Jan 2010:Special Offer: Cat on a Hot Tin Roof [West End]: £10 Off Top Tickets for January 2010!